LA BELLE is located at 9 - 9R RECREATION LANE in district 19 (Hougang, Sengkang) of Singapore. 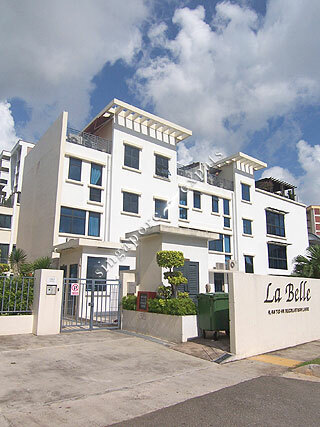 LA BELLE is a Freehold Cluster Housing development consisting of 16 units. LA BELLE is completed / TOP in 2006 (estimated), developed by GREEN ACES DEVELOPMENT PTE LTD.
Educational institutions like HILLSIDE WORLD ACADEMY, DPS INTERNATIONAL SCHOOL, AUSTRALIAN INTERNATIONAL SCHOOL, YANGZHENG PRIMARY SCHOOL, ZHONGHUA PRIMARY SCHOOL and MARIS STELLA HIGH SCHOOL are near to LA BELLE. LA BELLE is accessible via nearby SERANGOON, BARTLEY and LORONG CHUAN MRT Stations. Bedrooms are big with a lot of privacy. Great location very close to MRT station/ bus interchange and NEX shopping centre with abundance of amenities.